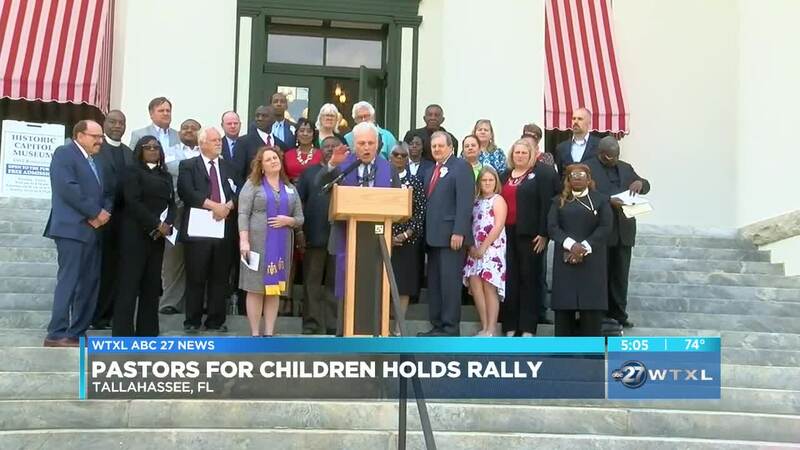 TALLAHASSEE, Fla. — Pastors for Florida Children held a prayer rally and press conference on the steps of the Old Capitol Tuesday. The new group of faith leaders is focused on advocating for the needs of public school children across the state and they're against private school vouchers. The group is advocating for two major issues. First, a pro-student budget. A 2018 Quality Counts Report gave Florida a D+ rating for overall school funding. Pastors for Florida Children want to increase education funding across the board. "What we are seeing today is the initiation of a response to a proposal to award I believe $150 million has been a number that the governor put out to about 15,000 students in the state of Florida and the faith based community has come to say that is so wrong on so many levels," said Rev. James Golden, with Pastors for Florida Children. The group also wants to fully fund public schools and end voucher programs.